Buttermilk is a delicious drink loaded with vitamins and minerals which gives you a lot of health and beauty benefits. Buttermilk is an outcome of the separation of butter from milk. It is extremely nutritious, light on the stomach and palate appealing. Either you can drink it or apply it to your skin and hair. It acts as a great drink to cool off your body on a hot summer day. Here are some of the amazing reasons why buttermilk is a blessing for your skin and health. Buttermilk is good for your skin as it is enriched with Alpha Hydroxy Acid which acts as a natural skin lightening agent. Buttermilk can cleanse our skin perfectly. It draws all dirt, dust, grime, and impurities out of our skin and gives it a healthier look. You need to blend it with an equal amount of rose water and add a few drops of sweet almond oil to it. Dip a cotton ball in this mixture and wipe your face gently. Leave it on for 15 minutes and then, splash cold water on your face. Buttermilk is rich in lactic acid and alpha hydroxy acid, which is used in most of the beauty products and treatments. This lactic acid helps to soften and brighten skin. Buttermilk helps check sun damage, tanning and sunburn. Blend half a cup of cold buttermilk along with half a tomato and a handful of mint leaves. Apply this liquid to your skin. Leave it until it dries up. It helps to soothe your sunburn and accelerate the healing process. The protein and lactic acid content of buttermilk make it an amazing natural ingredient for enhancing the tone and texture of our skin. All you need to do is mix gram flour and turmeric powder with buttermilk and spread the paste uniformly over your skin. Rinse off the dried mask with lukewarm water. The protein in buttermilk will help nourish your hair and replenish all essential nutrients. 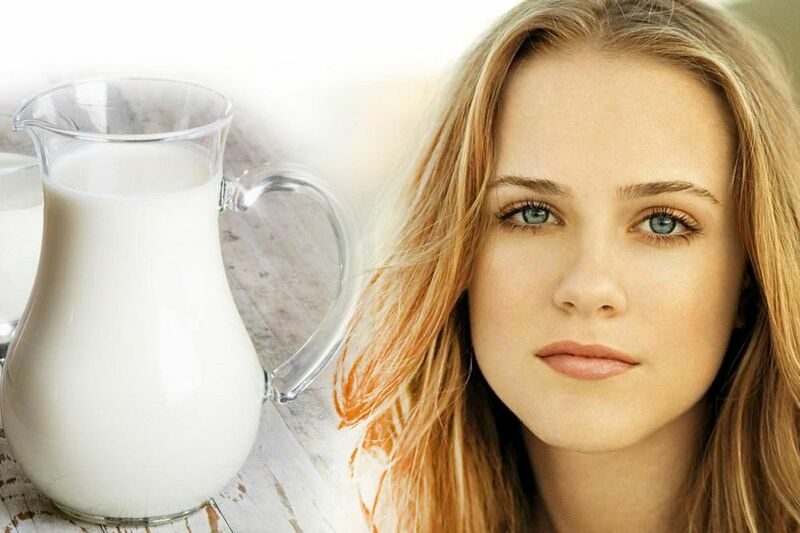 Buttermilk can bring a significant change in the texture of your hair. It can help cleanse your scalp leaving it feeling clean and fresh. Unlike average dairy products, buttermilk contains less fat, which is good for your heart. The unique protein in buttermilk that lowers high blood pressure also keeps the cholesterol level in check. Low in calories, buttermilk flushes out the fat that usually coats the inner walls of the stomach and intestines after an oily meal. Buttermilk also aids in weight loss as it helps to calm hunger pangs by keeping your stomach full for a longer period of time.